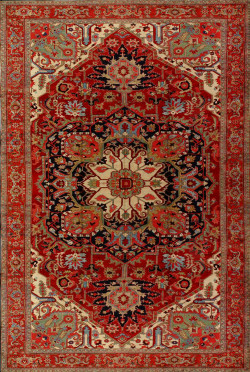 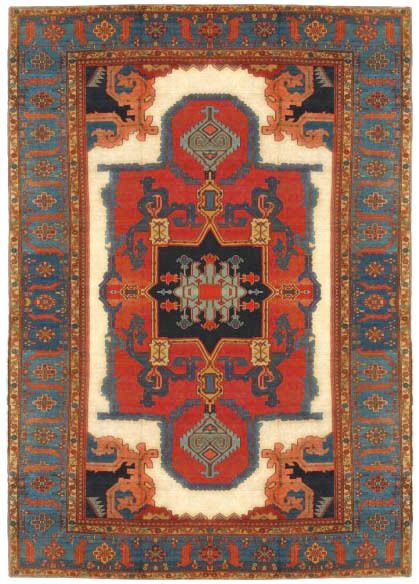 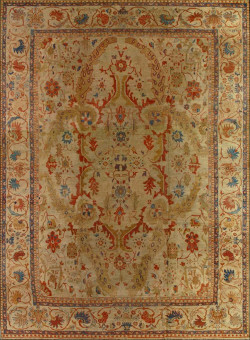 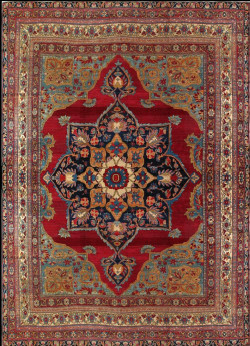 Tabriz Rug-201014 This large Tabriz, extremely finely knotted has a layered pattern, all in the classic “herati” pattern, in ivory, rust,and navy blue. 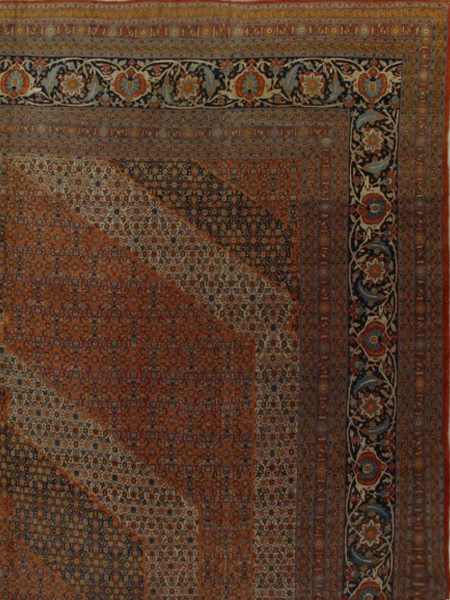 The pattern is small and precise and continuous no matter what the ground color. 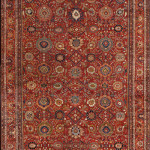 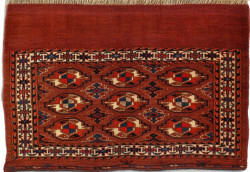 The border, by contrast, is a bold and fluent rendering of the “turtle” pattern with large in-and-out palmettes alternating with rosettes and lancet leaves.